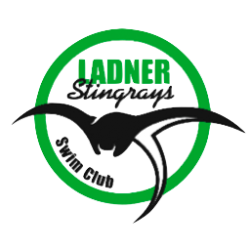 The Ladner Stingrays offer year round swimming programs. 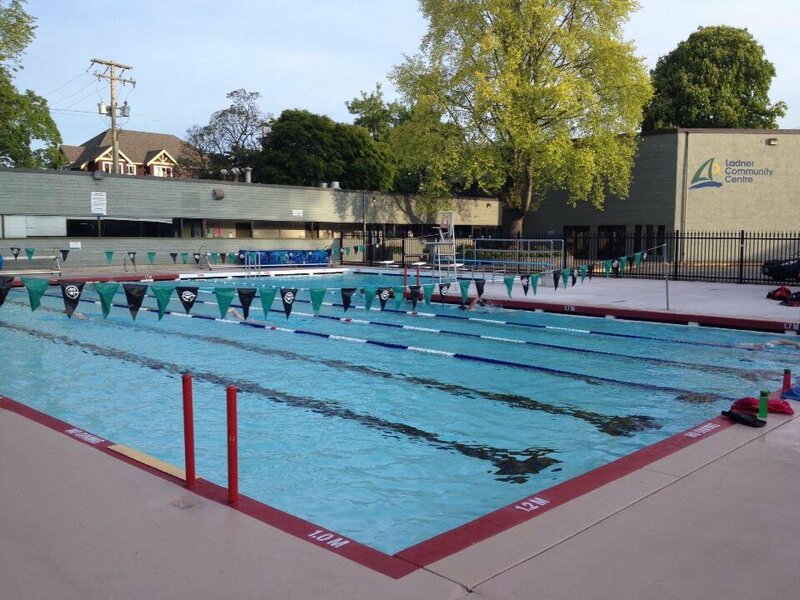 The Summer swimming program runs from May to August, and a Winter maintenance program that runs from October to April. Like all sports, swimming has rules unique to the sport. The following descriptions give a general overview of the basics to help you understand the focus our coaches need while they work with your swimmer. The official and specific rules of swimming can be learned with the completion of the Stroke and Turn Judges clinic. Please refer to the team website for information on upcoming clinics. The four competitive swimming strokes are freestyle, backstroke, breaststroke and butterfly. The combination of the four strokes is know as individual medley. The swimming pools utilized during swim meets are 25 metres long and have 6 or 8 lanes. Deck officials watch the swimmers to ensure that they are doing the strokes correctly and that they are not getting an unfair advantage by starting early. If a swimmer is disqualified during a meet they will not have an official time and their time will be disqualified (“DQ”). Almost every seasoned swimmer will tell you that they have DQ’d- particularly on the more difficult strokes. It happens- just think of it as a learning opportunity! The competitor may swim any stroke they wish. Most swim the front crawl, as it is traditionally the fastest stroke. It is characterized by the alternate stroking of the arms over the water surface combined with a flutter kick. The freestyle is swum over 50, 100, 200, 400, 800 and 1500 meter distances. In the backstroke, the swimmer must stay on their back at all times. The stroke is an alternating motion of the arms combined with a flutter kick. On turns, the swimmer may rotate to the stomach and perform a flip turn touching the wall with some part of the body. Swimmers must surface within 15 metres after the start and after each turn. Back stroke race distances are 50, 100 and 200 meters. This is one of the most difficult strokes to master. In breaststroke the hands are pushed forward from the breast on or under the surface of the water and brought backward in the propulsive stage of the stroke simultaneously. The kick is a simultaneous thrust of the legs called a frog or breaststroke kick. No flutter or dolphin kicking is allowed. At each turn the swimmer must touch with both hands at the same time. Breaststroke racing distances are 50, 100 and 200 meters. This is another challenging stroke. The butterfly features the simultaneous overhead stroke of the arms combined with the dolphin kick. The dolphin kick consists of both legs moving up and down together. No flutter kicking is permitted. Both hands must touch the wall simultaneously on the turns and the finish. Butterfly races are 50, 100 and 200 metres. The individual medley is commonly referred to as the I.M. and features all four competitive strokes. The order of strokes is: butterfly, backstroke, breaststroke and freestyle. The I.M. is swum in 200 and 400 metre distances. Medley Relay: all four strokes are swum by four different swimmers. No swimmer may swim more than one leg of the relay. The order of strokes is: backstroke, breaststroke, butterfly and freestyle. Each swimmer will swim 50 or 100 metres. Many races are won or lost in starts and turns. At the beginning of a race, the swimmer is whistled onto the starting block by the Referee. Once the swimmers are settled the started calls them to the starting position by blowing the whistle again and saying “Take your marks.” Once the starter is satisfied that all swimmers are holding still, the race is started by an electronic tone. In all events, the swimmer must touch the wall but in freestyle and backstroke the swimmer may perform a flip turn as they reach the wall, touching only with the feet. In breaststroke and butterfly the swimmer must touch the wall with both hands simultaneously on the turns and finish. Swimmers in our club are constantly learning and improving on technique and racing strategies. As much as your child might want to compete with other swimmers in their group or other clubs, the best competition is always the clock. Beating a personal best time is the goal. There will always be someone faster someone slower, so the focus should be on self-improvement. Improvements can be sudden or gradual. Every swimmer progresses at a different pace, which is why our coaches put a big emphasis on personal goals.